Old VK28 still the best LT out there. A derp, and a rammer, theres nothing like it till now. Indeed. I don't like derps in general, but that VK28 was actually pretty fun with its derp. There's really no reason to play it now. 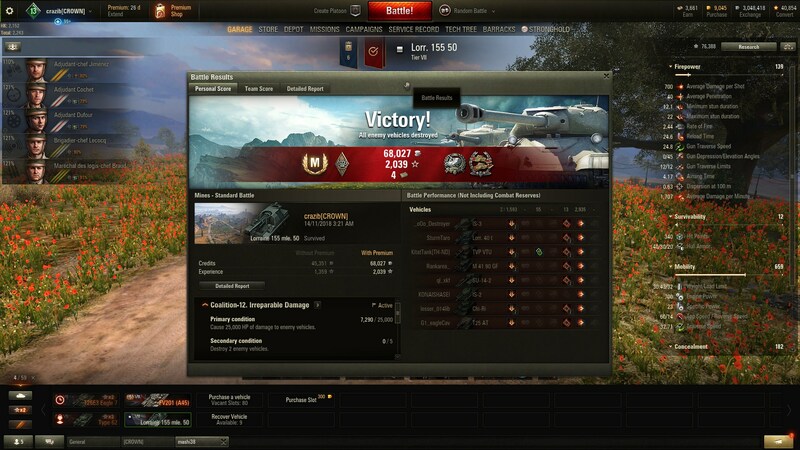 Also with the SP 1C, the highlight of that tank was the autoloader. That being the case, there's no rush to push my (second) German LT crew up the line, so they're stuck with the Leopard until it gets 2 marked. But the point of LT's isn't the pew pew, it's the vroom vroom. Though having plenty of pew pew is also good. 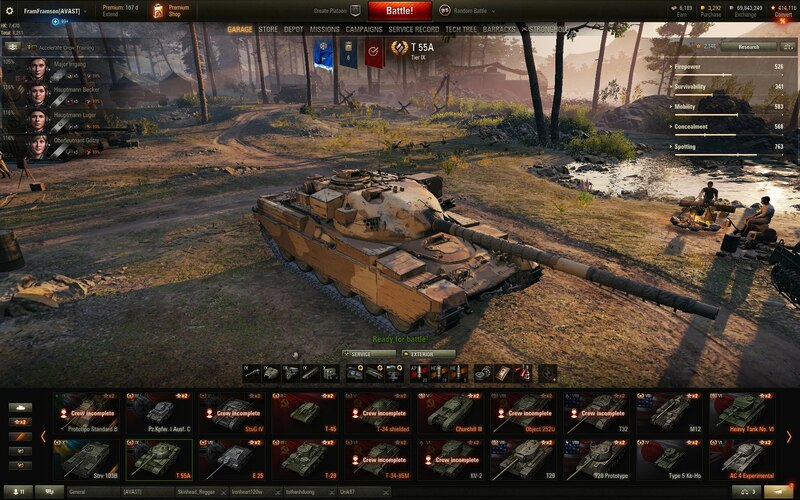 I mean, I always say that if I could only keep one tank, it would be the AMX 30, but it literally has speed and PtW which is better than many LTs. On the other side of the coin, the Edelweiss makes a nice "heavy counter-light". Not much firepower, but it's got the Awfulpanzer trick of high speed + high weight + high armour. I enjoy going where the LTs normally go and beating on them. Edel weight about as much as amx30, but better hp/weight ratio. I think edel also have better frontal armor. Played a few games after coming back from 2.5 year break..... wondered why they made shooting so hard now. *Not to mention none of my comfy spots exist anymore. ** And what the Fluffer is a Scorp G and why is it shooting me? 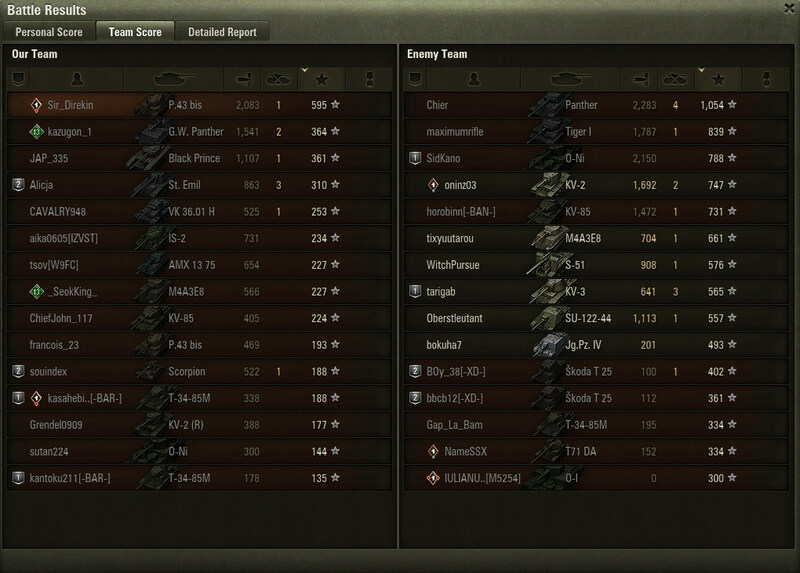 Turns out my crews had swapped around due to line changes while I was away so I had been playing with a 55% crew. Not something to be happy about, but it was kind of amusing to almost run out of ammo, though that probably had a lot to do with most of my shots landing somewhere other than where I was aiming. Still 10s to load the last shell when the timer ran down. Wasn't it the case that you needed to have x number of battles before you could reply to a thread on the forum in order to prevent bots like this? Depends on the section i think. 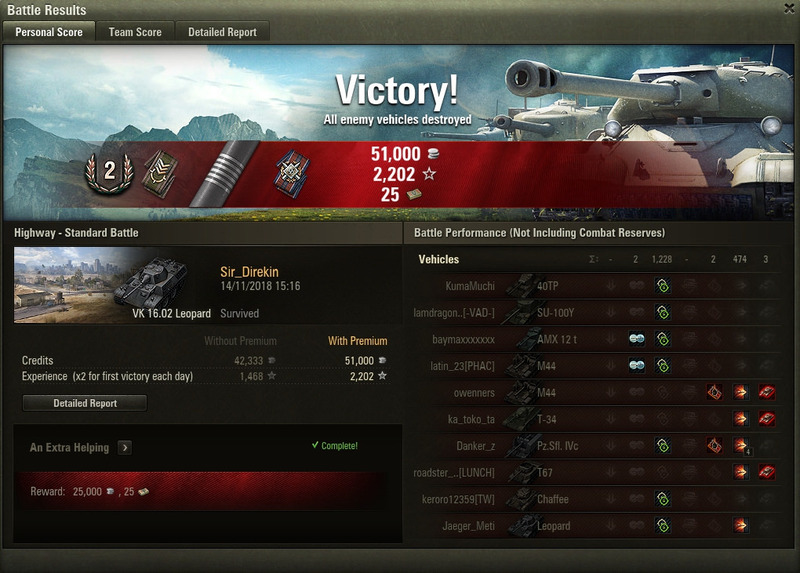 I am happy that the experimental MM does seem to improve things. Also while it was my first play session in 7 months it was novel to experience the new and changed maps plus the new personal missions. I did find the new PM missions interface a little confusing with regards to when you get the primary done but still want to get the secondary. Also the general non PM missions interface is really overly complicated but that was the case from before I took a break too. I liked the Studzianki map as an LT driver while Minsk seemed like just Ruinberg 2.0. Pilsen seemed a little better from the one game I had on it, Paris and Tundra were as bad as I remember. Edited by CardinalMite, 14 November 2018 - 06:10 AM. Yeah! About bloody time. 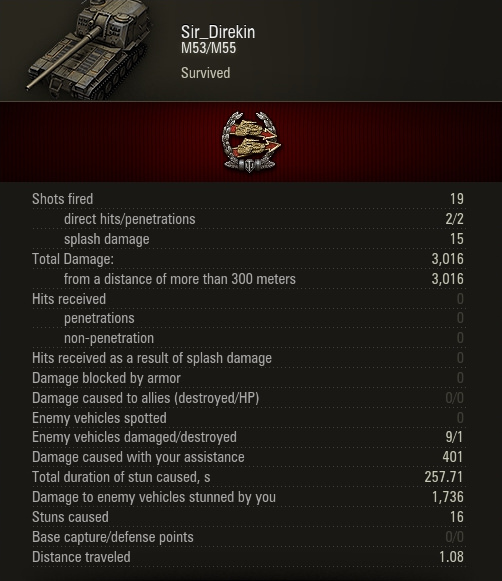 Started at 84.88% anyway, so already close, but had a decent map, a team that didn't yolo, and they shot at spotted targets. Good game. Now I can finally retire that LT.
Bloc 8 Catching fire activated. 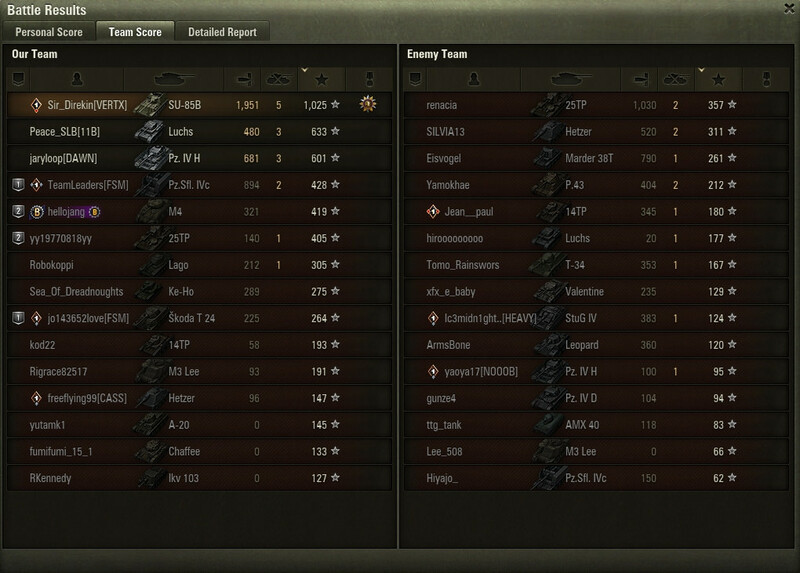 Second game E50 with the dpm gun, sets fire to Object 260 with first shot. Did LT 12.3-14.3 tonight. Shoot out to my toon mates for assisting! 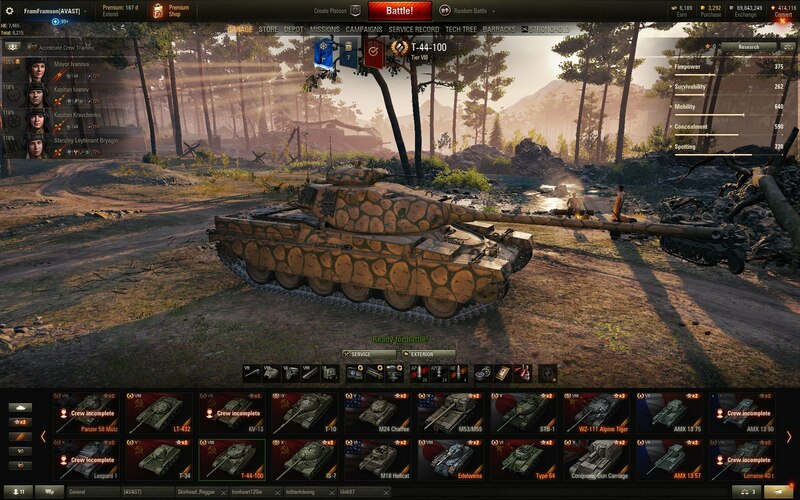 What have you done to your T-44? A turret... on top of a turret. How perverse! A potato on top of a potato. For that extra pamashe.